Submit Photos and make $$$! This is the 3D modeling, texturing, rigging and animation section at YIO multimedia. You will find royalty free stock of 3D models for advertising, news, architecture, broadcast, documentaries, games, training, film, the web, corporate, presentations, etc. You can get CheckMate Pro certified models to ensure the highest quality, geometry and textures, ready and reliable files. CheckMate TM Certification at TurboSquid is a quality program for 3D models to guarantee the buyers that 3D files open and render without errors, model is made of quads and triangles only (mostly quads, no n-gons), good edge flow and clean topology, no poles with more than 5 edges, real-world scale, centered at origin, clean UV maps, subdividable topology if needed for higher detail or close-ups, containing holding/support edges to retain shape after subdivision. With Checkmate Pro certification you also get more precisely item previews before buying, including 360-degree turntable and wireframe (mesh) renders. Models has no isolated/coincident vertices, no coincident/coplanar faces. Objects are grouped and contained in a layer structure for easy moving/hiding all objects in model together. 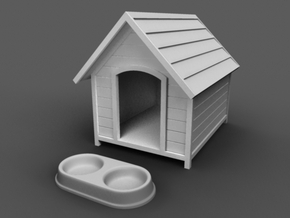 Find 3D models for your project. Cars, people 3d models and more. Find printable models ready for 3D printing or contact me if you need a specific custom design. In order to be successfully 3D printed, objects must closed and follow some guidelines. Each material has its own restrictions which must be observed to avoid the model to bend or break, specially during its intermediate or "green state". There is a minimum thickness for its walls and wires (also known as the material's solidity threshold), a maximum length for supported and unsupported walls and wires, a minimum for embossed and engraved details. So a model has to be designed with this requirements in mind. Making the object hollow can save money but make sure to include sufficiently large escape holes for each hollow cavity in your product. Clearance is the space between any two mechanical parts that allow they to move and avoid them to fuse each other during construction. All this specifications require a model to be redesigned when you need it in another scale.